It’s not very often that you get more than 20,000 teenagers on a unique journey of faith in downtown Indianapolis. If we’re being honest, we know it doesn’t happen a lot around the world. 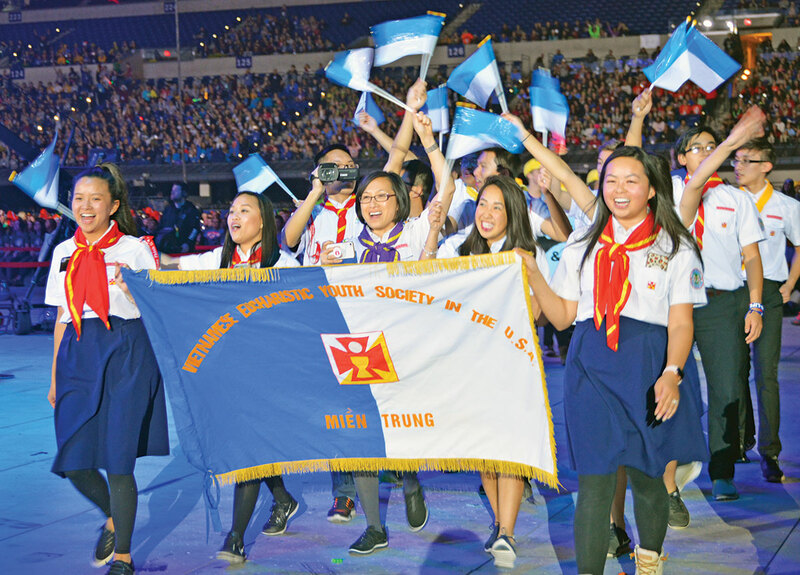 But the National Catholic Youth Conference (NCYC) is not about statistics or comparing young people from America, Europe or anywhere else on the globe: it is a pilgrimage of faith for its participants. And what planners from the National Federation for Catholic Youth Ministry, local organizers and representatives of the city of Indianapolis have learned during the past several years is that the “Crossroads of America”—specifically the Indiana Convention Center and Lucas Oil Stadium—is a great place to host a three-day retreat for young people eager to meet like-minded teenagers hoping to grow in their lives of faith. Not surprisingly, many of the young people make new, lifelong friends and have fun in the process, too. NCYC has been a staple of our downtown landscape every two years since 2011, and the current plan is to continue hosting it here into the foreseeable future. 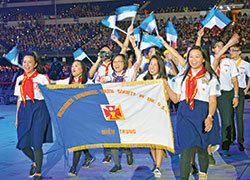 Scott Williams, the director of youth ministry for the Archdiocese of Indianapolis, has witnessed firsthand the joy and excitement this biennial gathering leads to for thousands of teenagers. That faith, and the energy and excitement that result from it, offers so much promise for the present and the future of the Church. This year’s theme, “Called” (“Llamados”), encouraged teens to slow down and listen to where God wants to lead them as missionary disciples. We hope the stories and photos featured on pages 1A-12A in this week’s special keepsake issue of The Criterion paint a portrait of a young Church that is serving as a beacon of light in a troubled world. Our regular features are included there: Archbishop Charles C. Thompson’s column, Faith Alive!, Calendar of Events, Opinion and Obituaries and other local news. In this special issue, we celebrate our Catholic youths from across the country and their desire to draw closer to God. We hope you enjoy their stories, their enthusiasm and their passion for our shared faith.